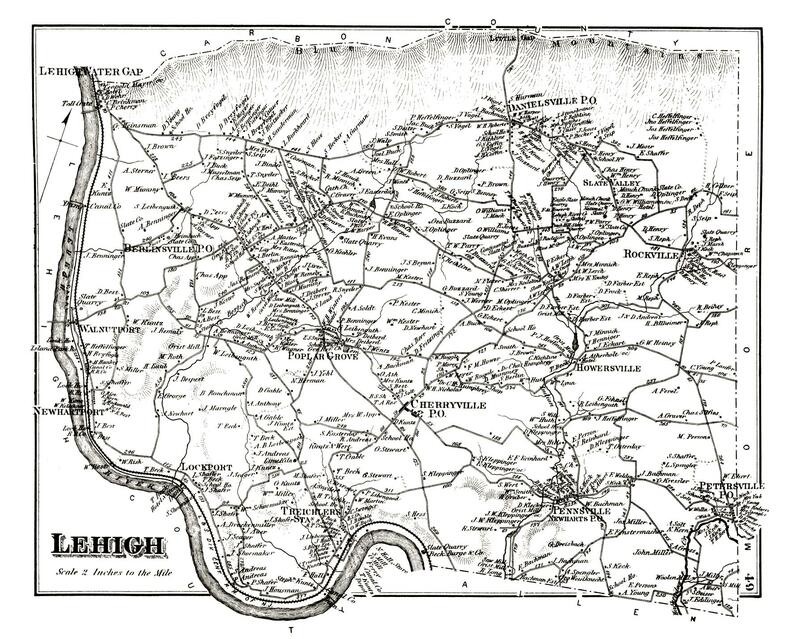 1874 Map of Lehigh Township linked from: Township and borough maps of Northampton County Pennsylvania from the Atlas of Northampton County Pennsylvania by D.G. Beers, published by A. Pomeroy & Co., Philadelphia, 1874. Boroughs are shown in bold and sometimes appear on a page with another township. More information will be added, still under construction. Please visit the village pages.